Botball – The event, coordinated through the KISS Institute for Practical Robotics, engages middle and high school aged students in a team oriented robotics competition. Students use their science, engineering, technology, math and writing skills to program and document the autonomous robots they build. Introduce a Girl to Engineering Day – Members of the SIUE Society of Women Engineers (SWE) hosts girls from grade 5-8 for a daylong event that offers exposure to the field of engineering. Participants complete activities covering the fields of civil, mechanical, electrical and computer engineering as well as computer science. Professional women engineers and SIUE students participate in the event to provide support and guidance. Summer Camps – Each summer the SIUE School of Engineering hosts high school freshman, sophomores and juniors for our Summer Residential Program. 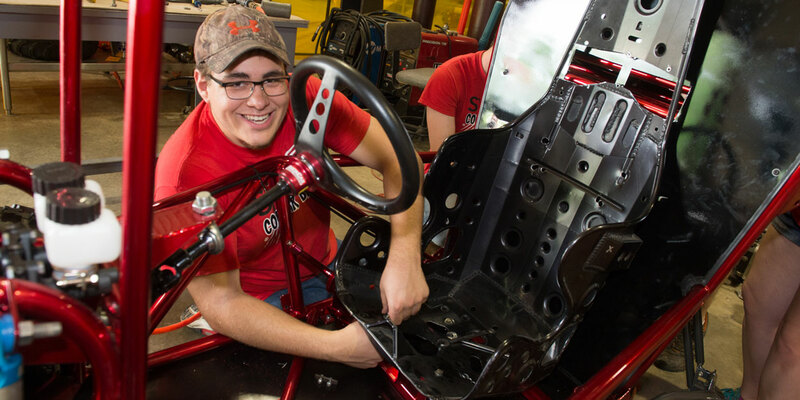 Students are introduced to various engineering disciplines, computer science, and construction management through hands-on laboratory activities, design contests, and field trips. In addition, participants will also experience residential college life while staying in a campus residence hall and using a meal plan.